Motors TV is a British digital television channel dedicated to motorsport. Launched in 2000, it broadcasts an extensive range of national and international racing series featuring cars, motorbikes, boats and aircraft. Its premier championships include the World Rally Championship, the FIA World Endurance Championship, United SportsCar Championship, V8 Supercars, British Formula Three and a host of FIM-sanctioned motorcycle competitions. It is broadcast 24 hours a day, 7 days a week across Europe. Following in the footsteps of its French equivalent, which launched in September 2000, the British arm of Motors TV began broadcasting in March 2001. Since then it has grown in both viewership and series featured, adding premier international events such as the World Rally Championship, Bathurst 1000, Petit Le Mans and Daytona 24 Hours. Throughout its existence the channel has featured a wide variety of car racing, including single-seaters, touring cars, prototypes, GTs and rally competition. More recently it has shown an increased commitment to motorcycle racing, adding live coverage of the Spanish and Italian championships to its schedules in 2011. In addition to circuit competitions it has also established itself as the home of motocross, with the World MX Championships, America´s AMA Motocross and several supercross series now screening live on the channel. As well as four-wheel Motors TV also covers categories as diverse as the sea-based Ocean Grand Prix, aerobatics, New Zealnd´s JetSprints series and various radio controlled car competitions. In addition to sporting events the channel also broadcasts magazine programmes such as Inside Grand Prix, Build or Bust and Best of Crash. 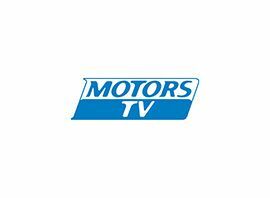 On January 20th of 2015, Motors TV announced that they would start broadcasting in the Pan-American regions on January 28th, 2015.